Macao Government Tourism Office (MGTO) is organizing in Bangkok initiatives to promote Macao as a tourism destination through its gastronomy, synchronized with the visit of the Macao Special Administrative Region delegation headed by the Chief Executive, Chui Sai On, to Thailand. 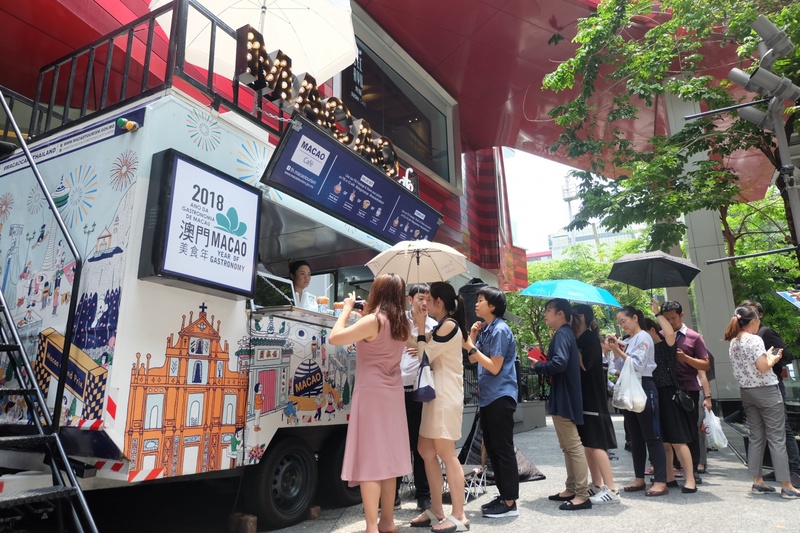 A kick-off ceremony of the promotion Macao Café Food Truck was carried out today (May 10) by MGTO. 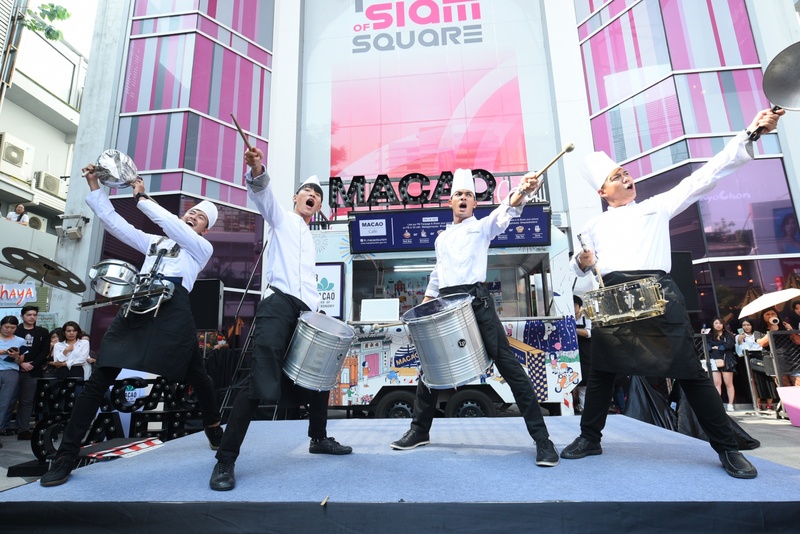 The road show is touring different locations in Bangkok to meet the public at the Thai capital, promoting Macao as a newly designated UNESCO Creative City of Gastronomy and its diverse tourism offer, to attract more visitors from the country. Thailand is one of Macao’s top ten visitor source-markets, holding potential to help diversify the city’s international visitor source-markets. MGTO Director, Maria Helena de Senna Fernandes, together with Thailand’s superstar “Pope” Tanawat Wattanaputi, MGTO representative in Thailand, Uracha Jaktaranon, among other guests, presided the kick-off ceremony of a Macao Café Food Truck road show. Thailand travel trade, media and public also participated at the occasion staged at Siam Square, a shopping and entertainment area at the Thai capital. 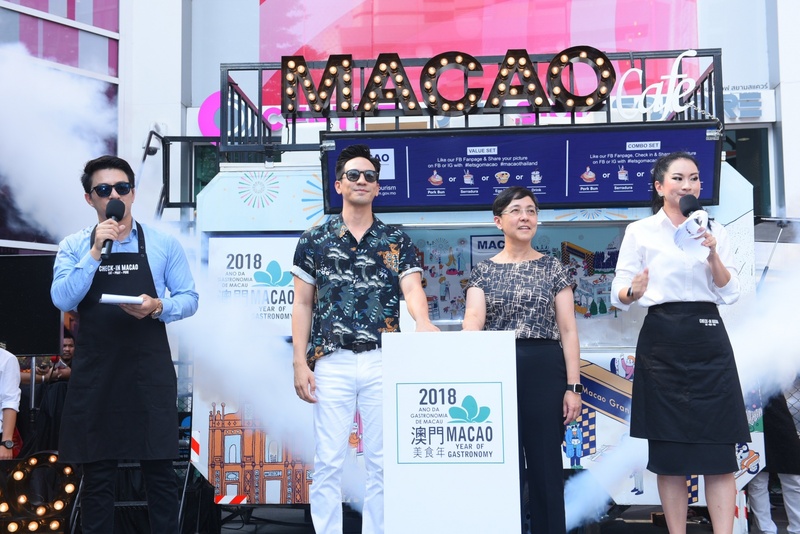 The promotion will run for three days, with two Macao Café Food Trucks going around the Thai capital and stationing at locations that aside from Siam Square and Chidlom, also include Ratchadamri BTS station, Huamum Night Market and the Platinum Fashion Mall. To draw more attention from the public to the promotion, MGTO launched a social media competition that attracted 950 participants, among which ten winners got the chance to attend the kick-off ceremony. MGTO promotional video “Experience Macao Gourmet Style” is also being screened for a month around Bangkok. In addition, MGTO is cooperating with airlines to offer packages to encourage more Thai people to visit Macao in 2018. Thailand is one of Macao’s top ten visitor-source markets, with the two sides connected by frequent regular flights operated by two air carriers (Air Macau and AirAsia), providing a total of 60 direct links a week between Macao, Bangkok, Chiang Mai, Utapao and Phuket. The country is one of the city’s international visitor-source markets holding potential to diversify the city’s visitor source markets, with the visit of the Chief Executive to the kingdom set to enhance tourism relations between the two sides.